We are the leading manufacturer, supplier, wholesaler and trader of Gearless Sheet Cutting Machine to our valuable clients. 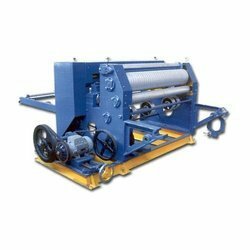 We have carved a distinct niche in this domain as an eminent manufacturer and supplier of Gearless Sheet Cutting Machine. 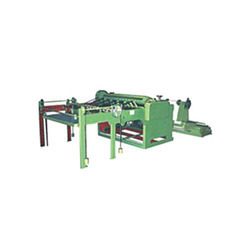 Offered sheet cutting machine is used for cutting sheets in many sizes for different industries. This sheet cutting machine is designed by using best quality components and cutting-edge technology at our manufacturing unit. Furthermore, provided sheet cutting machine is highly admired by our clients for its flawless functionality. Being the market leader in this domain, we are actively committed towards offering a wide range of Gearless Paper Sheet Cutting Machine. This machine is used for cutting sheets in many sizes for different industries. It is manufactured by our professionals using high grade factor inputs in conformity with international quality standards. To ensure quality and flawlessness, the entire range is well tested against various quality parameters. Further, clients can avail this machine from us at affordable prices within stipulated time frame.